Burgers to Cape Town restaurants are much like opinions to South African politicians: every eatery has one, each swears theirs is the best, and most are, inevitably, mediocre. 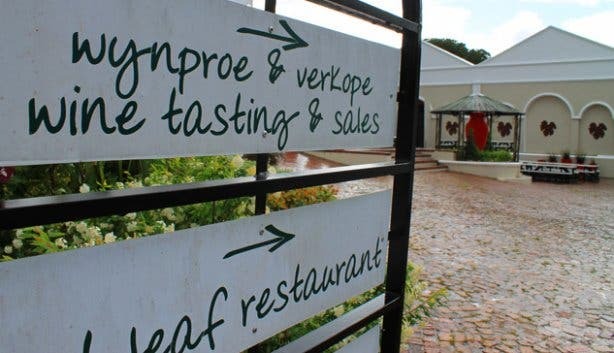 So, understandably, it was with a challenging sort of interest that we veered away from the hulking horizon of Stellenbosch’s Simonsberg mountain and turned up the terra cotta tract of road to Beyerskloof wine farm’s Red Leaf restaurant in search of the legendary Pinotage burger. With a reputation that’s reached a heightened state of almost mythical proportion, the winery, set just 40 minutes from Cape Town in the heart of Western Cape vineyard country, is co-owned by the man who rescued the one true Mzansi cultivar from a destiny of brandy distillation, bulk jug wine and voluminous mixing fodder. Beyerskloof Cellar Master Beyers Truter was the first South African to win ‘International Winemaker of the Year’ in 1991, and much to the international viticulture community’s surprise, did so with Pinotage, a varietal that had been written off: its taste likened to that of acetone and rusty nails and its nose pegged as “hot and horrible”. Nearly two decades after this first bout of global grape fame, Truter opted to give something back to the Pinotage-loving local market that had supported his farm from the get-go. 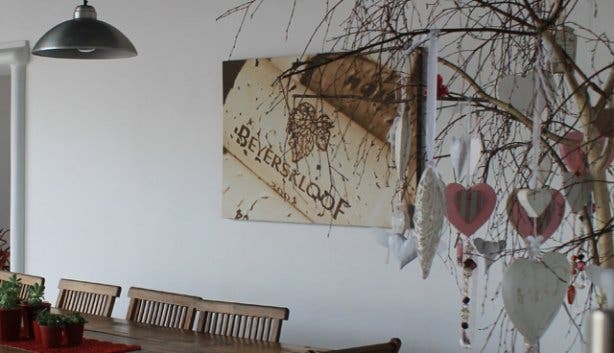 The Red Leaf restaurant, named for the rosy-hued foliage distinct to the Pinotage vine, was thus born in 2007 as a family-style, wine-themed eatery with a signature dish as proudly South African as its robust red vino. “Everything here is Pinotage,” laughs Corné Truter, Beyers’s daughter and another pious supporter of the celebrated burger. Dressed in the same reds and blacks that accent the contemporary farm-style décor of the eatery, Corné, the restaurant’s manager from day one, introduces us to the passion and driving force behind the fare, Frank Menezes. “I love what I do; I eat, sleep and dream cooking,” he tells us, leaning in, hardly able to contain his excitement even after seven years behind the stove. Tall, wiry and full of fire for his role as head chef of the Red Leaf, Frank, who only decided to pursue a culinary career later in life, is one of the few lucky people on the planet to have the privilege of enjoying his work. He owns nearly 400 cookbooks (a fetish that’s cost him a pretty penny), cooks what he likes and uses a combination of locally-sourced, seasonally-appropriate fresh produce – and, of course, Pinotage – to conjure up a selection of dishes that has attracted a devoted clientele in his four years at Beyerskloof. Aside from making his own stocks and sauces and refusing to pre-cook any of even the more complex dishes on the menu (think the mouth-watering rack of lamb), he’s also not one to shy away from a challenge or a touch of whimsy. 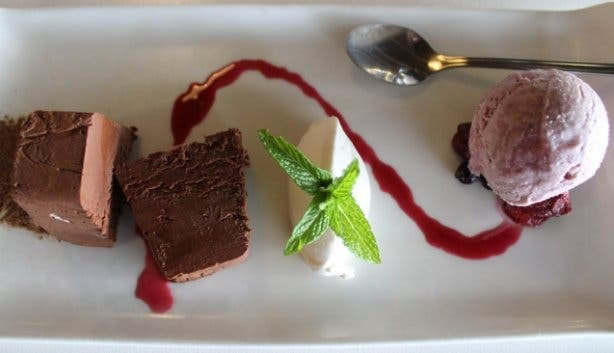 Take his patent-deserving Pinotage ice cream, for example: it’s homemade using an old Italian method, not a machine, and, according to Frank, you can taste the difference. Or, consider the Pinotage poached eggs, a dish inspired by the Burgundy region of France. Breakfast is long past, however, and it’s due time to settle in and size up the restaurant’s renowned staple. We make our way through the surprisingly playful interior – it’s nothing like the pastoral façade of the building – and take a seat at one of the tables on Beyerskloof’s expansive outdoor deck. 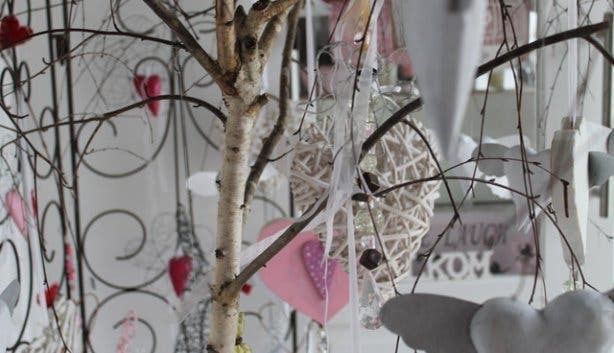 Though it’s a grizzly spring day in the Winelands, the outside area is snugly enclosed and well heated by three roaring fireplaces, making it as ideal a cosy winter venue as an airy summer hang-out. 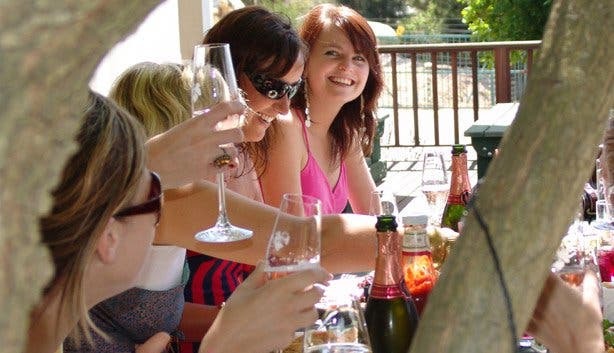 Perched above regiments of budding Cabernet Sauvignon and a fully-blossomed Stellenbosch vista, a series of smaller tables intermingle with larger options, the bench-style seating lending itself to anything from jovial happy hours to Saturday morning baby showers. 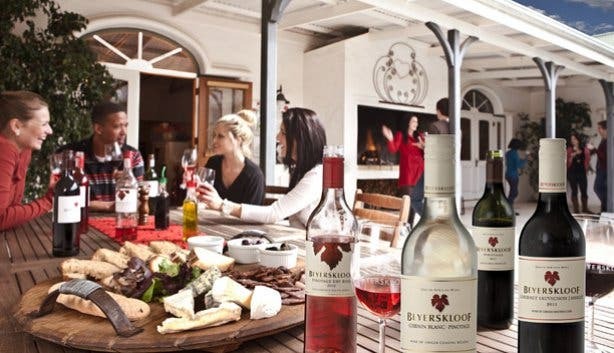 Within seconds we’re brought glasses of the dark purple Pinotage, and only minutes later, the star of the show, the Red Leaf burger, arrives piled high with an onion relish slowly stewed in, what else but, the rich plum undertones and berry-fruit flavours of Beyerskloof’s most popular wine. Accompanied by hand-cut potato wedges, the primo patty is all it’s chalked up to be and more. The sweet flavours of the marmalade meld seamlessly with the hand-ground beef of the sandwich, no pomp nor circumstance – tomato sauce, mustard or mayo – necessary to dress up the midday meal. We follow the main with a generous scoop of Frank’s delectable Pinotage ice cream and a helping of decadent, but not overwhelmingly sweet, Chocolate Marquise, the desserts’ respective tartness and bitter undertones balancing each other artfully. 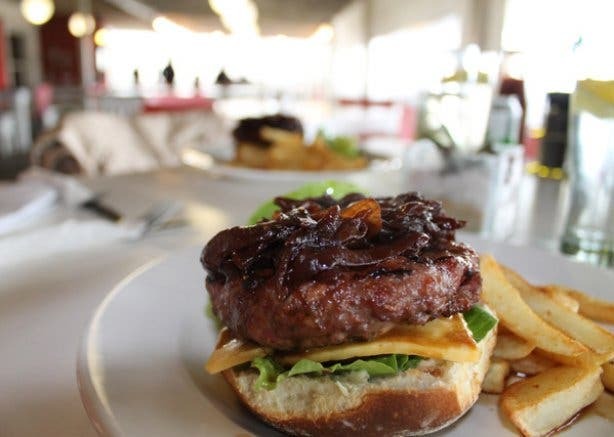 Needless to say, plated with honour and integrity and rich with a depth of flavour born from pride and devotion, Beyerskloof’s Pinotage burger is a far cry from both run-of-the-mill sandwiches and equally unappetizing political players. Thus, with bellies full and eyes beginning to close, we begrudgingly uproot ourselves from alongside one of the many toasty Red Leaf hearths, and roll out to the car for the scenic drive back to the Mother City; our cynics’ pessimism exchanged for heartfelt respect. 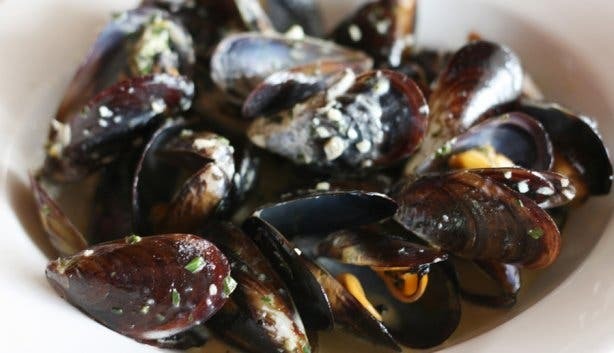 Tip: The Red Leaf restaurant does far more than just burgers, and they do it all well. From eggs benedict to Oeufs en Meurette (eggs poached in red wine sauce) for breakfast (that’s right, the winery restaurant is open for morning meals) to pork belly (served with French green lentils and apple mousse) and Mussels Marinière, the eatery has a vast and varied range of options that suit an assortment of both budgets and palates. 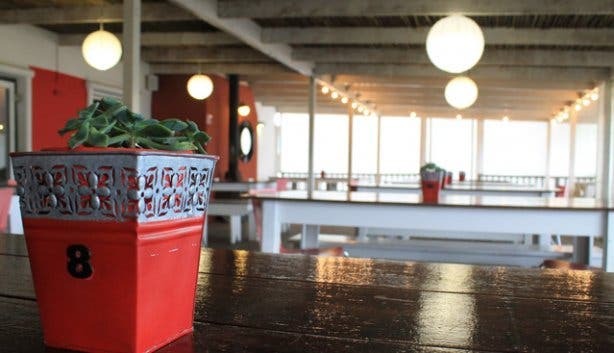 The Bill: Devoted to catering for all types of clientele, the Red Leaf claims costs that are both high and low. 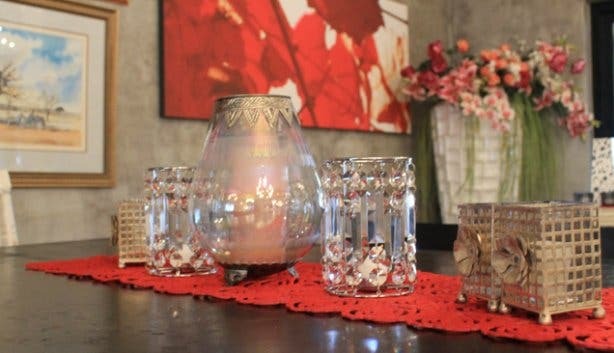 Starters range in price from R40 to R60, mains average between R100 and R120 (with options that are both more and less expensive), and desserts cost from R40 to R45. 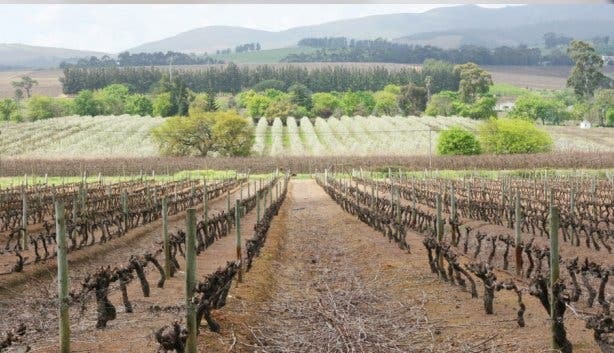 Interested in learning more about this Stellenbosch wine farm's rise to fame? Read more about Beyerskloof.